Not available in this demo. Let the video do the talking; SlopeScope for iPhone comes packed full with killer features all designed to help you improve your game and show off to your friends and, best of all, is completely free, zilch, nada! Not a video editor? Just don't fancy spending the time thinking about it? Don't worry! SlopeScope will compose a beautiful, action packed of your best moments on the slope with some juicy audio from up and coming UK artists. 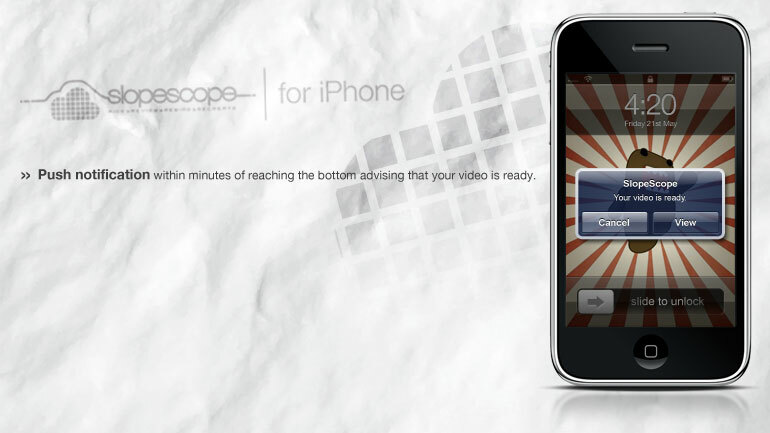 Your video will start processing seconds after you reach the end of the slope and within minutes a Push Notification will let you know it's ready. 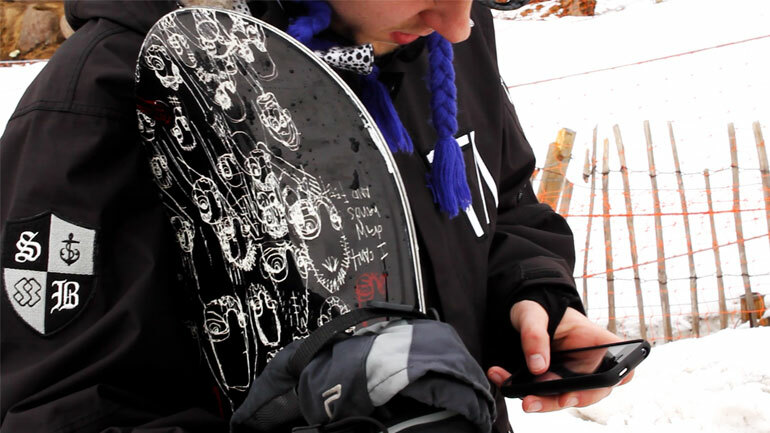 Show your friends while you're waiting in line for the lift back to the top. Like a posh DVD, SlopeScope for iPhone lets you view a run from many angles. Be your own coach, review your jumps, runs and bails and stop bad habits from forming. 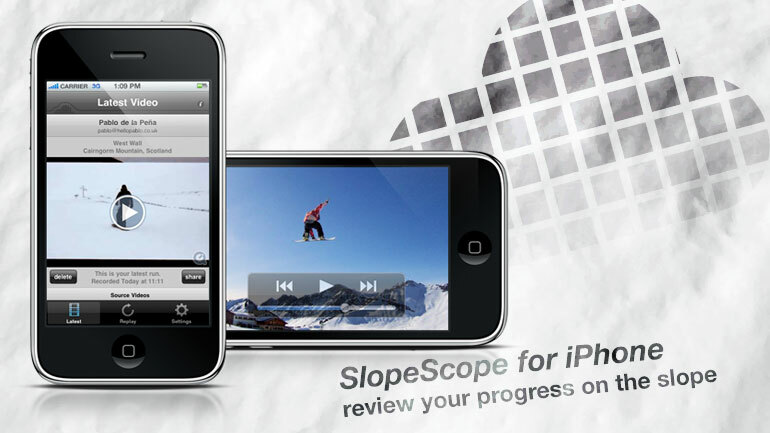 SlopeScope for iPhone automatically saves your runs allowing you to revisit that epic bail or check your time down the slalom course. 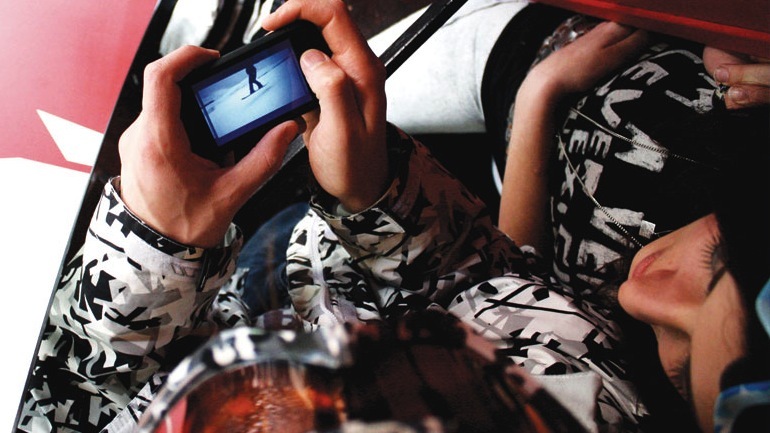 Watch your videos on your laptop with instant over-the-air syncing. 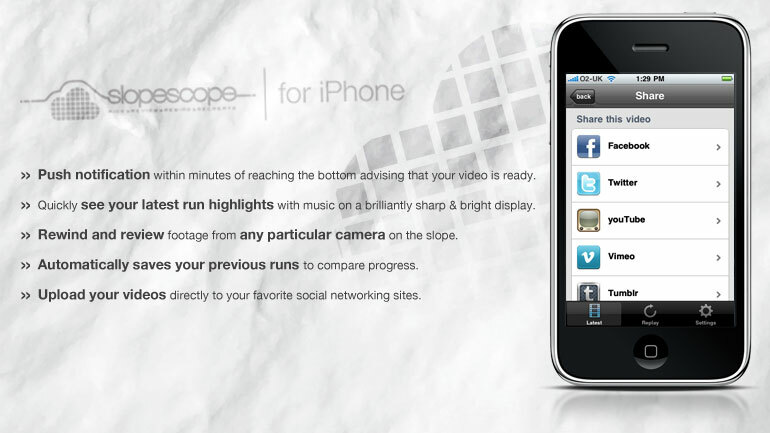 With integrated support for Facebook, youTube, Vimeo, Wordpress, Tumblr and Twitter you're never short of options when it comes to sharing your video.